An alternative to pins! Protect yourself, your customer and your fabric. 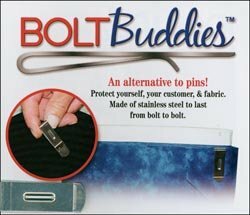 Made of stainless steel to last from bolt to bolt.